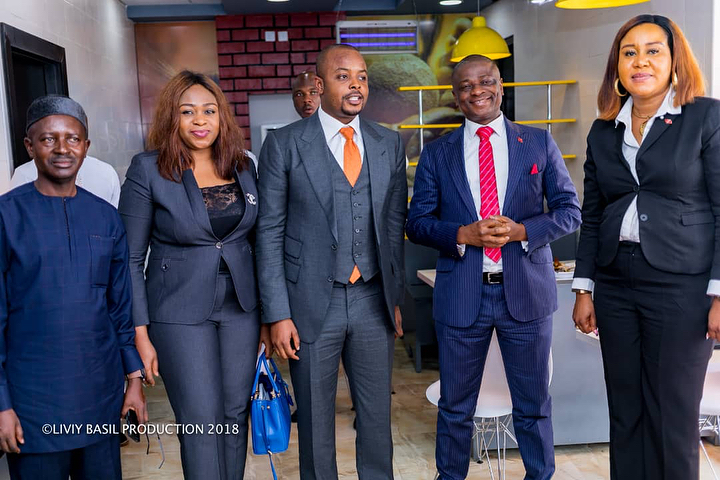 The Suleja lightening project was unveiled recently by the Chairman/Chief Executive Officer of the Stanel Group, Dr. Stanley Uzochukwu during the commissioning of Stanel World ‘One-Stop shop’ Centre in Suleja. “Your Excellency, Gov. Abubakar Sani Bello, I am pleased to let you know that as part of our corporate social responsibility, we are lightening up our host community and the project is still ongoing. “This is one of the many corporate social responsibilities that Stanel Group has, over the years, embarked upon in different parts of Nigeria. These include empowerment of over 1000 widows and physically challenged persons, distribution of food and clothing items to IDPs, human capital development, among others. In his remarks, the Executive Chairman of Suleja Local Government, Hon. Abdullahi Shuaibu Maje said, “I would like to commend and congratulate the CEO of Stanel Group. On behalf of the good people of Suleja, I really appreciate and welcome this gesture in our domain. “In addition to creating jobs for our people, Stanel Group has lightened up our community as part of its social responsibility with over 72 street light polls already powered up while the project is still ongoing.